Pakistan has condemned the terrorist attack in Jammu and Kashmir's Pulwama district and said it is a matter of grave concern even as it rejected India pointing out Islamabad's link to the incident without investigations. 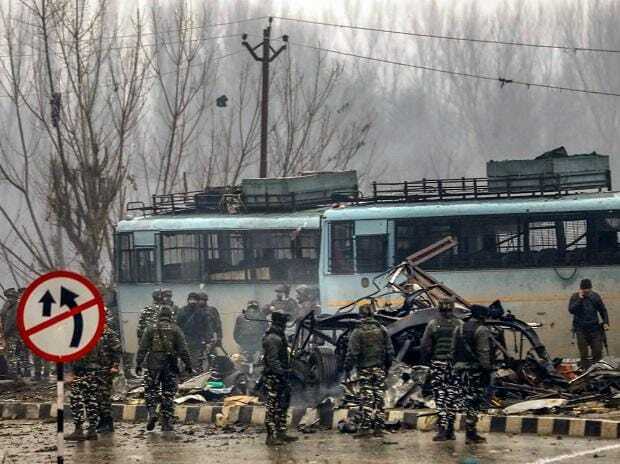 At least 37 CRPF personnel were killed and five injured on Thursday in one of the deadliest terror attacks in Jammu and Kashmir when a Jaish suicide bomber rammed a vehicle carrying over 100 kg of explosives into their bus in Pulwama district. Pakistan's Foreign Office, after keeping quiet for hours, issued a statement after midnight. The attack in Pulwama in Jammu and Kashmir "is a matter of grave concern," it said. "We have always condemned heightened acts of violence in the Valley," the FO said. Pakistan also rejected that it was in any way involved in the attack. "We strongly reject any insinuation by elements in the Indian government and media circles that seek to link the attack to the State of Pakistan without investigations," the FO added. India on Thursday slammed Pakistan over the Pulwama terror attack carried out by Jaish-e-Mohammed (JeM) and asked the neighbouring country to stop supporting terrorists and dismantle terror infrastructure operating from its soil. India also strongly reiterated its appeal to all members of the international community to support the proposal to list terrorists, including JeM chief Masood Azhar, as a designated terrorist under the 1267 Sanctions Committee of the UN Security Council, and to ban terrorist organisations operating from territories controlled by Pakistan. The White House asked Pakistan to immediately end "support" and "safe haven" to all terror groups as it strongly condemned the Pulwama terrorist attack. "The United States calls on Pakistan to end immediately the support and safe haven provided to all terrorist groups operating on its soil, whose only goal is to sow chaos, violence, and terror in the region," White House Press Secretary Sarah Sanders said in a late night statement on Thursday. Condemning the attack, the US State Department said in a statement that it was resolutely committed to working with the Indian government to combat terrorism in all its forms.